Life on the mainland teaches you a lot; how to apply for a loan, how to beat traffic, how to get out of parent-teacher meetings, etc. But can the mainland teach you how to have the Best. Day. Ever? We didn’t think so. 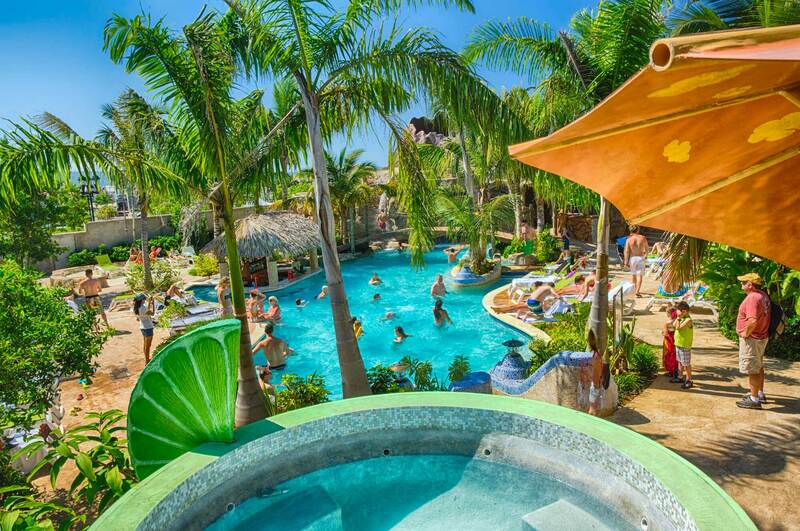 Sounds like you need a crash course in Margaritaville Caribbean! Anyone can go to the beach, but it takes a student of Margaritaville to hit the beach – and boy, do we hit it hard. Spend the day perfecting your tan in the bright, Caribbean sun. When you’re ready to cool off, take a stroll in the shallows, or cannonball into the water from our floating Aquapark. With clean, sandy shores, and crystal-clear turquoise waters, there’s fun for everyone at our beaches. We’re not going to lie; it gets pretty hot in the Caribbean. That’s why the drinks are never more than a few strokes away. Hop into the pool or ocean for a refreshing dip, and enjoy a drink at our swim-up bar. With everything from margaritas to burgers, it’s always 5 o’clock in the water. Mainland life probably taught you how to throw shade at your workplace, but catching shade is a skill only the Cabanas at Margaritaville can teach you. Want to spend your day at Grand Turk poolside in your own private cabana? You can rent one through your cruise line, or by talking to your ShoreEx team onboard. The cabanas are a hot commodity, so make sure you book one far in advance! Cabana rentals and VIP beach rentals are available in Negril – just email info@margaritavillecg.com. When the sun has set and the kids are asleep, the Best. Night. Ever. begins. Grab a drink and join the nightlife at our seaside Jamaican nightclubs. Even the flight home feels like another day in paradise with Air Margaritaville providing the food, fun, and excitement at the gate!